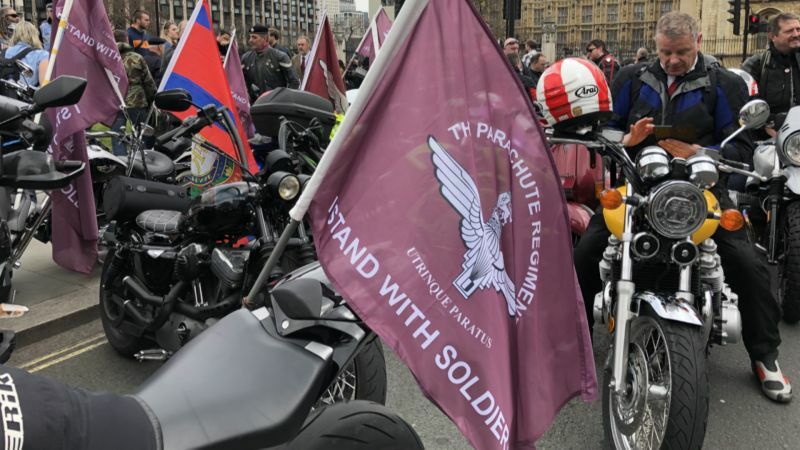 Bikers are holding a protest in London in response to the prosecution of a British soldier over Bloody Sunday. Organisers of the Rolling Thunder event expect thousands of motorcyclists to take part in the protest on Friday. A similar demonstration has taken place in Belfast with around 80 riders arriving at Stormont on Friday afternoon. 'Soldier F' is to face prosecution over the murders of two people and attempted murder of four others in Londonderry in 1972, when troops opened fire on civil rights demonstrators. Veterans have reacted angrily to the decision to take legal action decades on, after a lengthy campaign by relatives of some of the 13 people who died. The organisers of the Rolling Thunder said their action is directed against the British Government rather than the victims' families.